The 6.0 L engine was introduced midway through the 2003 model year. The 6.0L Powerstroke engine was then used by Ford trucks until 2008. The engine has a 3.74 in (95 mm) bore and 4.13 in (105 mm) stroke creating a displacement of 365 cu in (6.0 L) or 5954 cc. 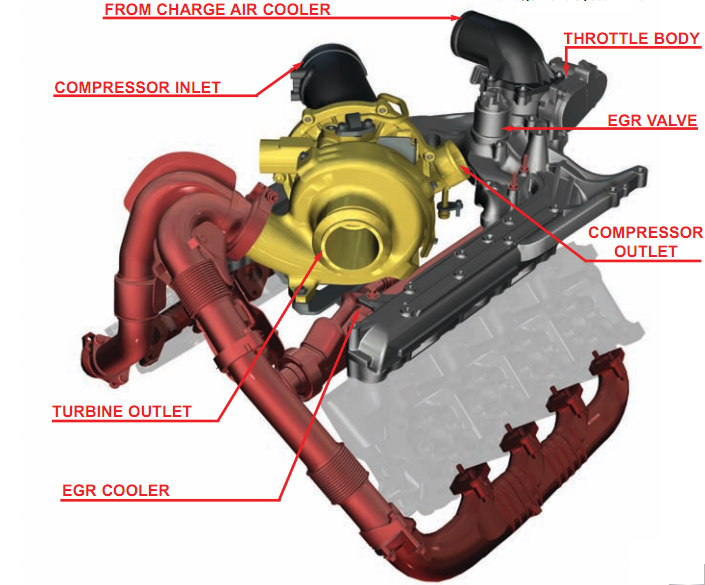 It utilizes a variable geometry turbocharger and intercooler, producing 325 hp (242 kW) and 570 lb·ft (773 N·m) with an 18:1 compression ratio, with fuel cutoff at 4200 rpm, but having a redline of 4500 rpm only attainable with aftermarket performance programming. This entry was posted in Power Stroke and tagged Diesel engine. Bookmark the permalink.